Why do we want the things we want? It’s complicated, I think. As children, we have dreams – often impossible dreams. Most of us will never be a professional footballer, or a ballet dancer, or the king, or a dolphin – or whatever, as kids, we might have imagined we might be one day. As kids, we are also likely to have role models, perhaps people we know, or people we see on TV, or fictional characters – but people who we admire and try to imitate. Like our dreams, our role models are not always what we first think, and our attempts to be like them may prove fruitless. Being like Spiderman would be great but sadly I have not been blessed with the ability to walk up walls. The other thing about role models is that as we get older, we can realise that they are not perfect. The fun uncle who made us laugh may turn out to be a drunkard – the teacher whose strength you admire may emerge as a bully. So our early aspirations may need to be modified – or even scrapped completely – as we get older, and they will be replaced by new ambitions that are, usually, more realistic and better considered. And as our lives change, so to do our needs. We may stop craving adventure and give more priority to security; we may want to trade in activeness for peace. The things we want from life change over time, as we grow in experience (and perhaps wisdom), and as our circumstances change. Our ambitions change, but often the reasons for our ambitions stay the same as when we were first forming our dreams as children. So if you wanted to be a professional footballer when you were young, why was that? Possibly because you wanted fame, or success – to be admired? And those things may still be very important to you today even in a less glamorous job. If you wanted to be the king, perhaps that was about power? Or wanting to do things to help others? 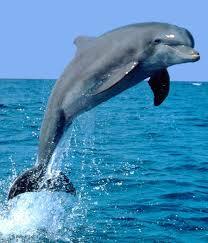 And the desire to be a dolphin might have been about wanting freedom, fun, or a life without boundaries. Thinking about our childhood dreams can help us to understand why we want what we want. It can also help us to question those desires, because we may, unconsciously, still be trying to fulfil needs we had as children. Being top of the class would probably have earned you praise from your parents, but is that still appropriate as an adult? Being good at football might have earned the admiration of your peers, but do you still need to seek the admiration of others? 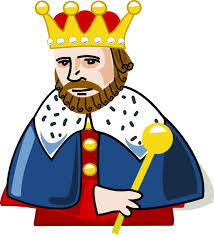 Does the would-be king still need power over others? And the wannabe dolphin? Was she seeking escape? From what? So, if we dig down, we can understand, and if we understand we can choose to change. Maybe, when we understand, we like what we find, and choose to keep it. Maybe we think, “that’s stupid” and choose to change it. But whichever it is, we have the choice, we do not have to be dictated to by our childhood emotions. This entry was posted in Understanding and tagged behaviour, change, childhood, emotions, feelings, Future, past, thoughts, understanding. Bookmark the permalink.